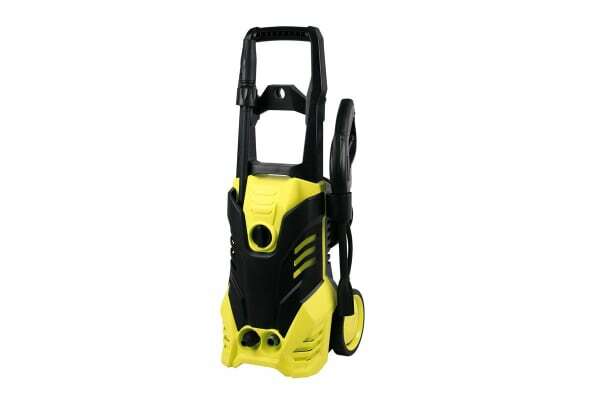 Blast through tough dirt and grime easily with a thumping 2000W of heavy-duty power and 2200PSI of water pressure packed into this ultra tough and durable high pressure washer. 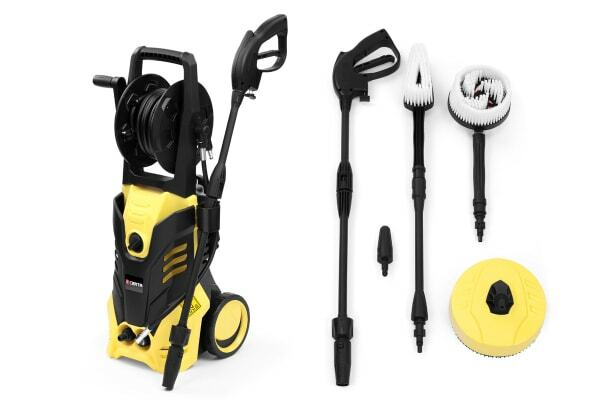 Strip back hard-to-clean driveways and eliminate mould growing on the roof with the Certa 2000W 2200PSI Pressure Washer with four adjustable angles and a soap spray for a rigorous high pressure clean. Get peace of mind for your safety and prevent kick back with the Total Stop System, automatically shutting off the pump once the speed trigger is disengaged. 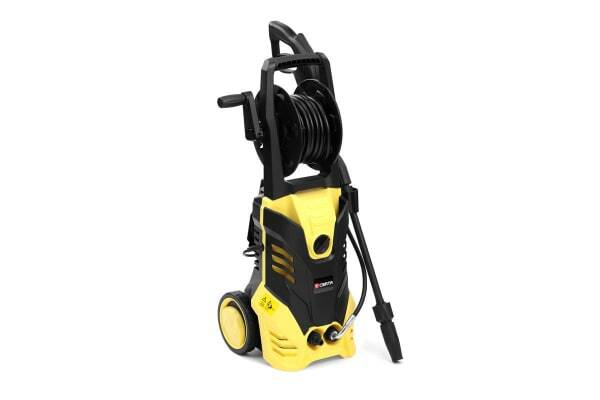 This robust washer navigates easily across uneven terrain with a rugged trolley frame and sturdy rubber wheels, reaching even the farthest corners of the yard easily without messy petrol refills thanks to the 8M pressure hose.